This is the Great Eastern Cutlery Tidioute Boys Knife Jack, has Antique Yellow Bone handles and Steel liners. The blade steel is 1095 and finish is Satin. Great knife, perfect size, well made, transitions, walk/talk, centering, everything I look for is spot on. Also Mike’s customer service was top end. Always a pleasure and I keep coming back. Thanks Mike. I bought this to use. After looking at it for a few days, and waiting on it for months don’t think I can. 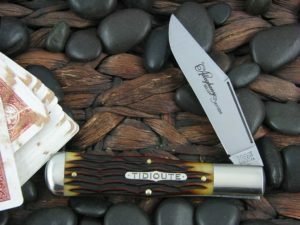 The perfect pocket knife. Its thin and simple and looks 100 years old. Love single spear blades. This is my sixth GEC pocket knife and I can’t pick one over the other just great knives. 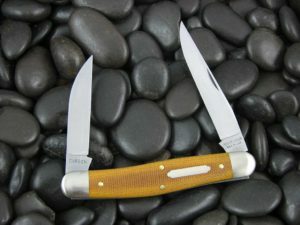 Antique yellow bone is very nice and the overall function of the knife is great. For now I’m going to add to my collection but the way my youngest grandson handled and admired it the other day I don’t think it will be mine anymore in a couple a years. The entire process of buying a knife with CK is great and I highly recommend. This 15 is very cost-effective! 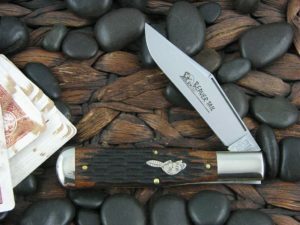 The 15 frame shines as the most popular GEC knife for many reasons. I collect and use many knives and this one is just right. Not too big and not too small. Fit and finish are almost always superb. Classic and simple design. Very functional with a classy look! 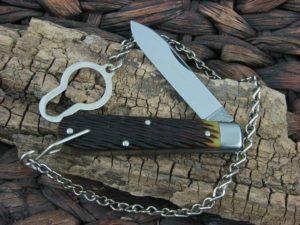 Wish I would have had this as my first pocketknife as a kid.